Today, people around the world have begun to focus more on the concept of health and fitness, and how they can improve their lifestyles with a regular commitment to positive habits. However, knowing how important it is to get enough exercise, doesn't mean they want to drive miles away to access the facilities of a professional gym. Fortunately, developers who want to create a positive community for new homeowners, or simply enhance their developments, can create their very own gym installations thanks to Hire Fitness. 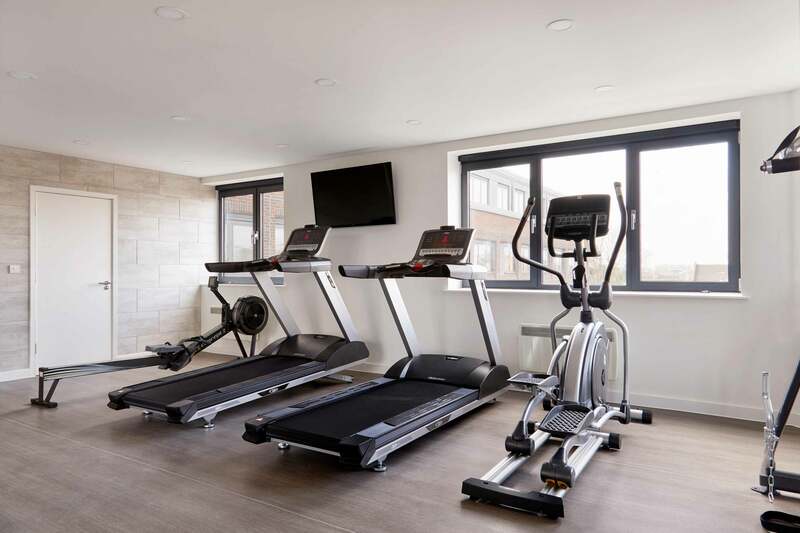 Hire Fitness residential gyms and show-room equipment hire, lease or purchase, is intended to help developers make the lasting impact on the property market that they need, to succeed in these competitive times. As the nation turns towards health and fitness to help them succeed in various areas of life, it's crucial for developers to look for ways to stand out from the crowd. With the rise in so called 'lifestyle' apartment blocks where residents are now expecting luxuries normally only afforded to those staying in high end hotels in the city. Developers of apartment blocks are now incorporating full leisure suites into the initial design stage of new blocks including luxury services such as pools, spas, high end gyms, business suites, function rooms and concierge services. People are looking for much more than just an apartment in Britain's big cities now and this trend in property development is set to continue with a 5 year boom forecast over the next 5 years. Hire Fitness can help you install smart gyms instantly within your showrooms and residential spaces, to create community fitness environments that help sell your new properties. We've worked alongside countless developments to help create new opportunities for homeowners across the UK, contributing to apartments and executive homes that completely break the mould. Commercial grade cardio equipment: This includes treadmills, cross-trainers, vibration plates, exercise bikes and rowing machines. Exceptional fitness accessories and mats: We can offer mats that help to protect your flooring from scrapes and buffing caused by fitness equipment, as well as fitness accessories for a variety of comprehensive workouts. Strength and endurance equipment: Our endurance and strength equipment ranges from weights and benches, to heart-monitors to help fitness enthusiasts pinpoint their optimal workout level. The benefits of new developments featuring pools, spas, gyms etc all on-site, is two fold for both the purchasers and the development company. For development companies it means they can recoup some of the investment through residents' service charges relating to the leisure facilities and it not only increases the overall property value but also increases the desirability of the development in the eyes of potential buyers and investors. 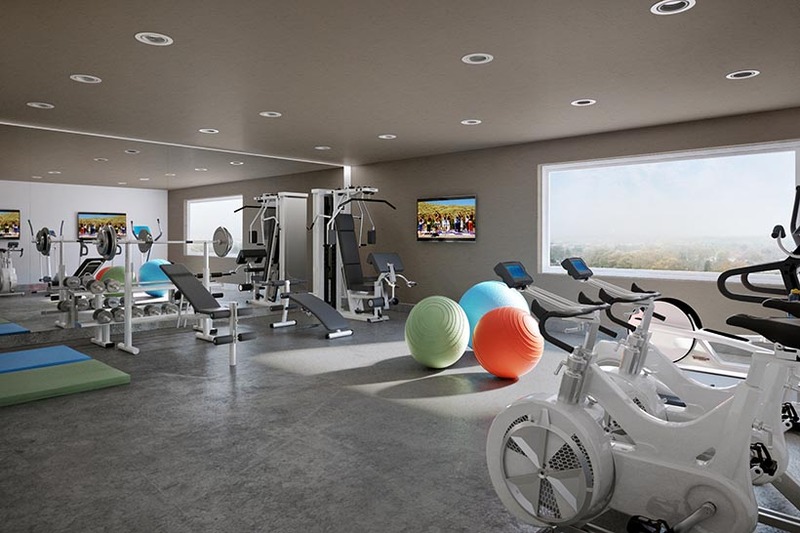 For buyers and investors who are keen to live on modern luxury developments, the on-site leisure facilities offer people an enviable exclusive club environment in which to conduct business, exercise and relax but all in the comfort of their own home environments. It's not only convenient to have everything on site but also offers money saving options as couples don't have to double up on expensive gym memberships. With Hire Fitness, all of the hard work associated with installing residential gyms and show-home equipment can be done for you - so that you can focus on selling properties and developing the best possible structures for your clients. We'll deliver and install all of the equipment you want, according to your chosen schedule, and we can even pick it back up again when you're done with it. Whether you want to give your customers the perfect example of what they could achieve with the wide-open spaces that you develop for them, or you want to enhance your homes and apartments with a unique fitness solution, Hire Fitness is here to help. We can provide a number of funding options to you to finance your residents' gym or show home including monthly hire, standard lease (which is typically spread over 3-5 years) or purchase. We work closely with a range of finance partners who will assist you. What Fitness Equipment is Needed for a Residents' Gym? 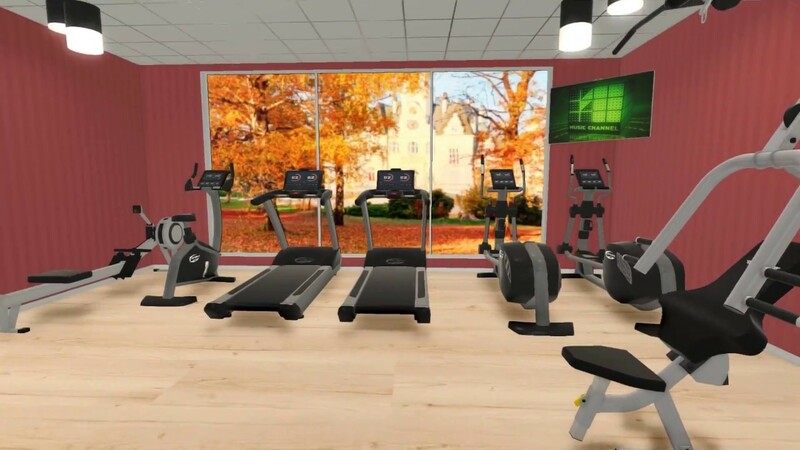 Our service provides each developer with a customised design solution with state-of-the-art fitness equipment, including a wide range of cardio and strength equipment featuring the latest technology, for example wireless connections, built-in TV, and more! 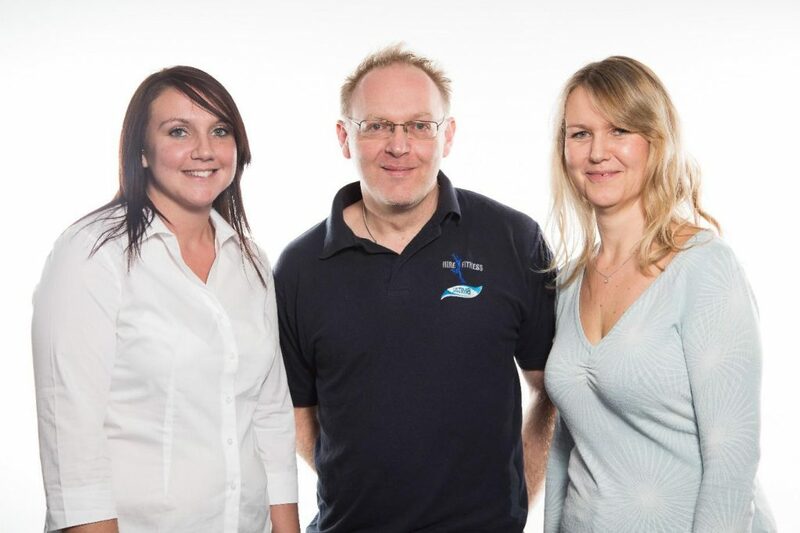 Once your gym has been installed, we can, if you wish, manage your facility fully with a team of qualified personal trainers and staff who have years of experience in running gyms of all sizes and scales. We can provide you will a full after sales service contract including regular planned maintenance checks and servicing to suit your requirements.